February 28, 2012. Tonight’s show was full of killer tunes! Submit your properly tagged mp3 files to rprbandsubmissions@gmail.com for airplay! Real Punk Radio is Radio Done Right! Tommy Unit LIVE!! Tuesday at 10:00pm ET/7:00pm PT. February 21, 2012. Tonight’s show had tons of listener/band submissions with a small tribute to Michael Davis of the MC5. Submit your properly tagged mp3 files to rprbandsubmissions@gmail.com for airplay! Real Punk Radio is Radio Done Right! Tommy Unit LIVE!! Tuesday at 10:00pm ET/7:00pm PT. Dirt Box Disco – Are You Ready? February 7, 2012. Tonight’s show was my birthday show! Tunes about birthdays, gettin’ old, livin’ fast, dyin’ young…you get the picture, right? Real Punk Radio is Radio Done Right! Tommy Unit LIVE!! Tuesday at 10:00pm ET/7:00pm PT. January 31, 2012. Tonight’s show was co-hosted by my homeboy Matt Moore! Listen in to see what tunes he brought with him! Real Punk Radio is Radio Done Right! Tommy Unit LIVE!! Tuesday at 10:00pm ET/7:00pm PT. January 24, 2012. Tonight’s show was a killer combination of pop punk rock and roll tunes! Real Punk Radio is Radio Done Right! Tommy Unit LIVE!! Tuesday at 10:00pm ET/7:00pm PT. Bit of – Ready to Go!! 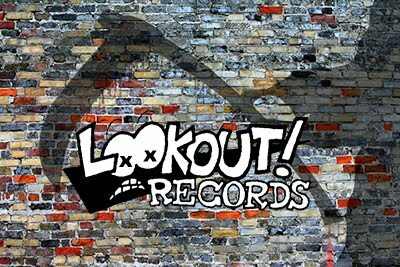 Well, I’m sure you all heard by now that Lookout Records has called it quits. Thumb through my record collection and you can tell I was a fan. This Tuesday’s show will be dedicated to those records. Tune in for spins from The Smugglers, Mr. T Experience, The Eyeliners, Green Day, Groovie Ghoulies, and far too many more to name. From 7-inches to 34-band compilations, it’ll be an hour-long trip down memory lane. Tune in to Tommy Unit LIVE on Real Punk Radio, Tuesday, 10pm ET/7pm PT and join me in the chat! Real Punk Radio is Radio Done Right! January 3, 2012. Well…the first show of 2012 and connection difficulties caused this episode not to air live. But I re-recorded the podcast for the faithful downloaders. 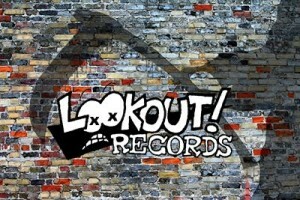 Tonight’s podcast includes sets from the Real Punk Radio’s Killing The Record Industry Vol. 2 FREE compilation download, a set of listener submitted tunes, a Pride of Iowa set and more! Tommy Unit LIVE on Real Punk Radio! REAL PUNK RADIO’s New Year’s Eve LIVE Simulcast from The Bowery Electric in New York City! December 31, 2011. What better way to ring in the New Year than with The Fleshtones, Real Punk Radio and Tommy Unit LIVE from The Bowery Electric in New York City! 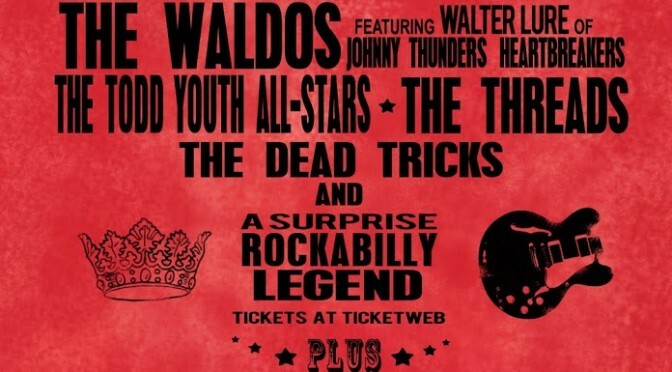 This is a simulcast also featuring The Dead Tricks, The Threads, Todd Youth All-Stars (with rockabilly legend Robert Gordon) and The Waldos (featuring Walter Lure of The Heartbreakers) with special guest appearance by Jesse Malin. Joining via skype is Scott Hudson (from The Ledge), http://www.facebook.com/ladamademente (from Wasted Electricity/Hearing Noises) and Jason SnyderMan (from Burrito Electrico). New Years Eve Done Right On Real Punk Radio! Tune in to REAL PUNK RADIO this New Year’s Eve for a LIVE simulcast direct from The Bowery Electric in New York City!!! 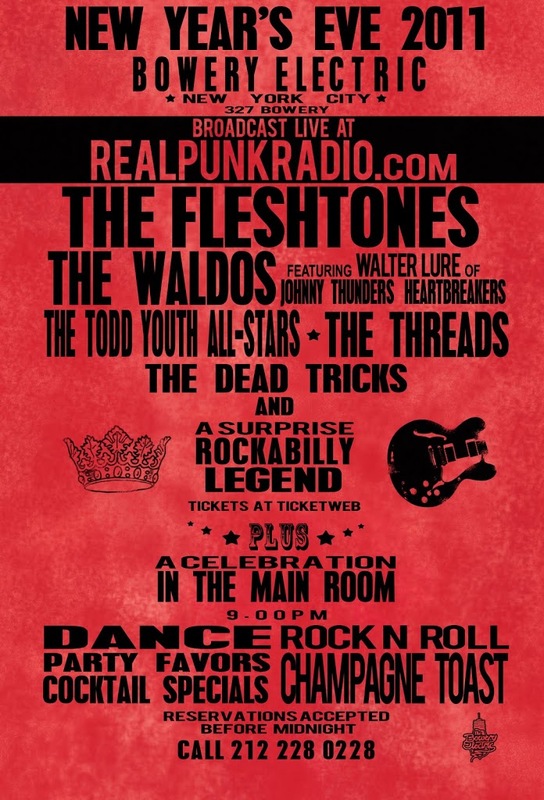 The Fleshtones ring in the New Year along with the punk rock’n’roll greatness of The Waldos (featuring Walter Lure of Johnny Thunders Heartbreakers), The Todd Youth All-Stars, The Threads, The Dead Tricks and a surprise rockabilly legend! 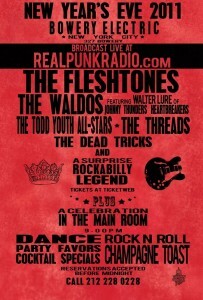 Tune your dials to RealPunkRadio.com Saturday, December 31st and join in the chat!